Quail, Chickpeas, Peas, Potatoes, Turkey Meal, Pea Protein, Pork Meal, Tapioca, Chicken Fat (Preserved with Mixed Tocopherols), Pumpkin, Ocean Fish Meal, Pea Fiber, Natural Flavors, Dried Eggs, Dicalcium Phosphate, Potassium Chloride, Salt, Choline Chloride, DL-Methionine, Salmon Oil (Preserved with Mixed Tocopherols), Carrots, Parsley, Apples, Cranberries, Blueberries, Lettuce, Celery, Beets, Watercress, Spinach, Dried Chicory Root, Broccoli, Spearmint, Almond Oil (Preserved with Mixed Tocopherols), Sesame Oil (Preserved with Mixed Tocopherols), Yucca Schidigera Extract, Dried Kelp, Thyme, Lentils, Vitamin A Supplement, Vitamin D3 Supplement, Vitamin E Supplement, Zinc Sulfate, Niacin, Ferrous Sulfate, L-Ascorbyl-2-Polyphosphate (Source of Vitamin C), Calcium Pantothenate, Thiamine Mononitrate, Copper Sulfate, Riboflavin, Pyridoxine Hydrochloride, Manganese Sulfate, Zinc Proteinate, Folic Acid, Calcium Iodate, Manganese Proteinate, Copper Proteinate, Sodium Selenite, Biotin, Vitamin B12 Supplement, Rosemary Extract, Dried Lactobacillus Acidophilus Fermentation Product, Dried Enterococcus Faecium Fermentation Product, Dried Lactobacillus Casei Fermentation Product. My dog has had loose stools on previous foods and has been a picky eater. I gave him the choice of this quail formula and his previous salmon-based kibble and he immediately went for the Solid Gold Quail formulation with enthusiasm. Stool has been good so far. Fingers crossed! 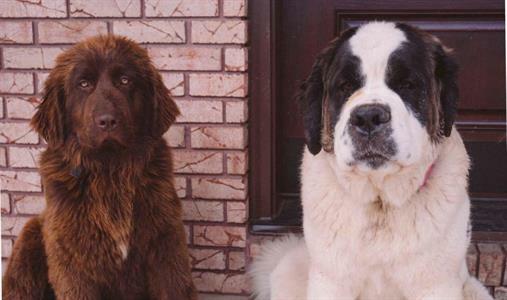 Our Newfoundland and St Bernards are on this food. Their fur and eyes are very healthy. Their stool is more solid than slushy with non-grain food. The dogs actually eat less than the grain food and are very active and not sluggish. 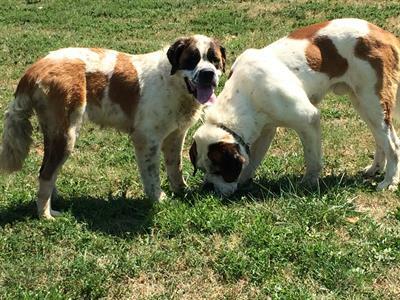 We have 4 Newfs and 4 St Bernards. Paying more is better for the overall quality of life for these breeds. Thirr litters are healthier and average more than normal. Very pleased and will definitely pass it on. Thanks for sharing, Walter! We're so happy to hear that your big dogs are excelling on Solid Gold! I don't know what it is about this particular food, but my most picky Great Dane thinks it's the best thing ever! It was pulled from the shelves at my local pet store and I thought it had been discontinued. In that moment, I panicked, knowing my boy would go on a hunger strike trying to find an equally awesome food. We failed at everything I offered. He would go days without eating. I finally found it on Amazon.com and as soon as I opened the bag, he was right there waiting for it, looking at me like, "well, that took you long enough, mom." He immediately ate and licked the bowl clean. Please keep this around! I don't know what I'll do if he can't have his Quail!! Thank you for making such a great food. All my fur kids eat Solid Gold and love it!! Thanks so much for sharing your Solid Gold story, Corena! We're so happy to hear that you were able to find his favorite food. We appreciate fans like you and your furry family! I've been a Solid Gold customer for over 8 years and I now have 3 dogs who eat it. My youngest is a German Shepherd who had an awful reaction to a dog food when she was a baby and required emergency surgery. I put her on Solid Gold immediately once she had recovered and she has done fabulous ever since! She is a very picky eater but loves the quail and pumpkin. Everything about my dogs' coats and health have been amazing on Solid Gold. I highly recommend it! We are so happy to hear that she's doing well on Solid Gold! Thanks so much for your love and support through the last eight years. It's always great to hear from our loyal fans!